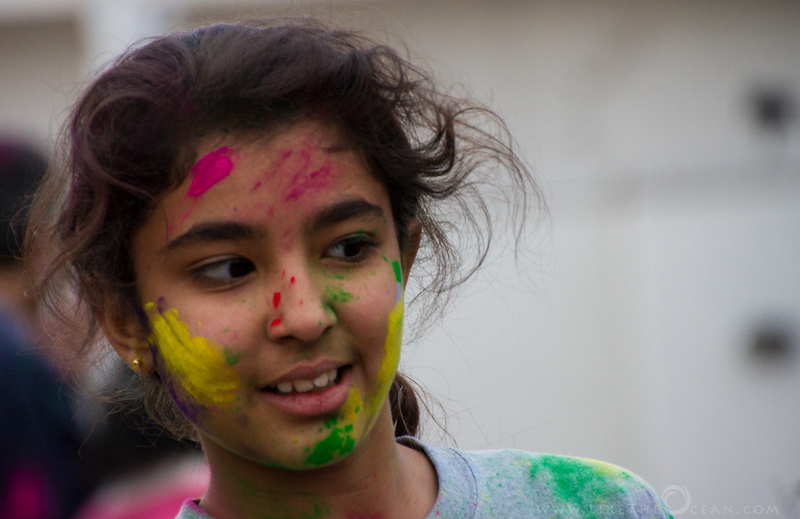 It was lot of fun at the Holi Celebrations. I did not expect such a crowd, it took more than an hour just to get the parking and get to the premises. Lot of folks were so open to being photographed and even asked where they can get the shots. If you were one of them feel free to get yours here. 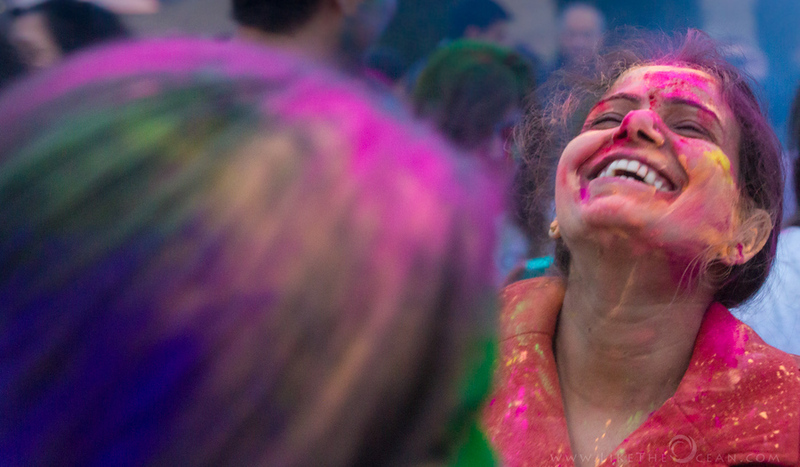 These shots are from 2013 Holi Celebrations at Hindu Temple of Greater Chicago. These were taken at a public gathering with a good will and understanding. All Photos are copyrighted. NOT FOR COMMERCIAL USE. Drop me an email if you would like the original shots for personal use. 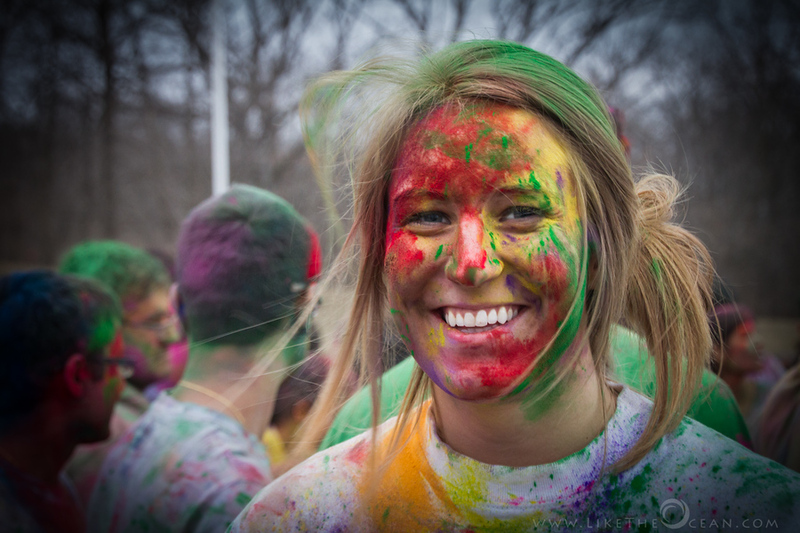 There are lot of different reasons behind this festival of colors. Though this started off in India, am seeing this cultural celebrations catching up in the major western cities too. Foremost is the legend of Prahlad and Hiranyakshyap. The legend says there once lived a devil and powerful king, Hiranyakshyap who considered himself a god and wanted everybody to worship him. To his great ire, his son, Prahlad began to worship, Lord Vishnu. To get rid of his son, Hiranyakshyap asked his sister, Holika to enter a blazing fire with Prahlad in her lap, as she had a boon to enter fire unscathed. Legend has it that Prahlad was saved for his extreme devotion for the lord while Holika paid a price for her sinister desire. The tradition of burning Holika or the ‘Holika dahan’ comes mainly from this legend. 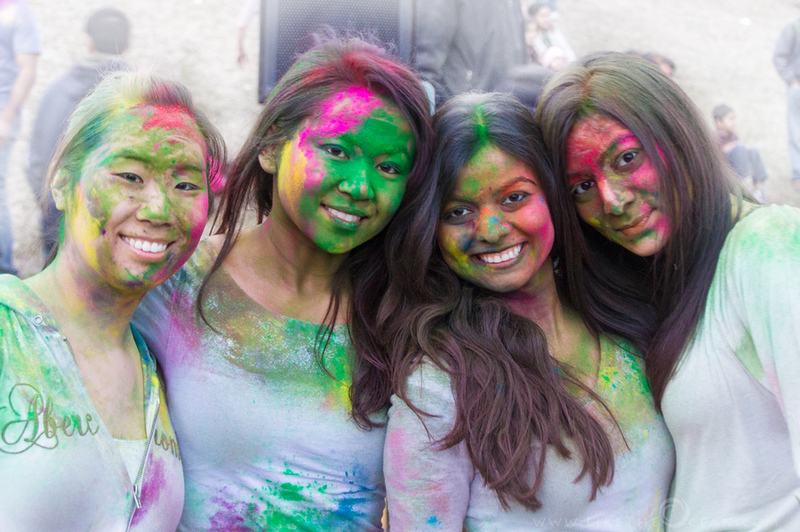 Holi also celebrates the legend of Radha and Krishna which describes the extreme delight, Krishna took in applying color on Radha and other gopis. This prank of Krishna later, became a trend and a part of the Holi festivities. As with any of the religious traditions, there is always a deep meaning behind these. 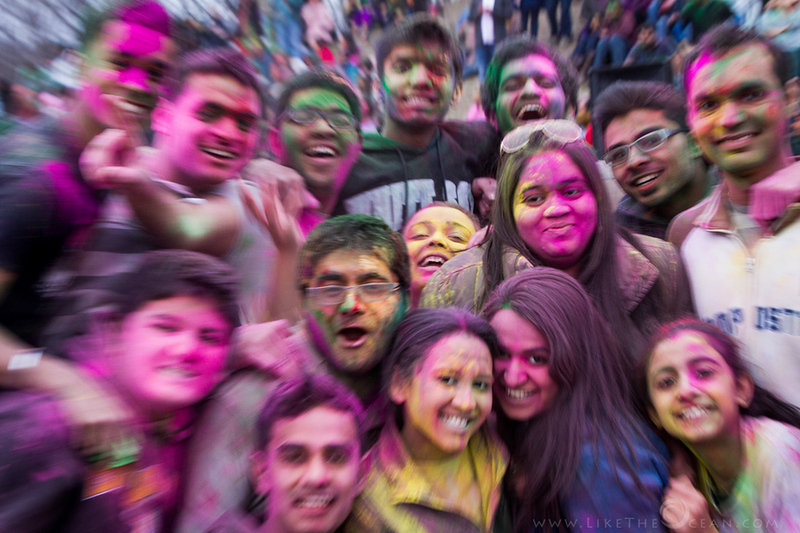 Holi comes when the season moves from cold (winter) to warm (Spring) . 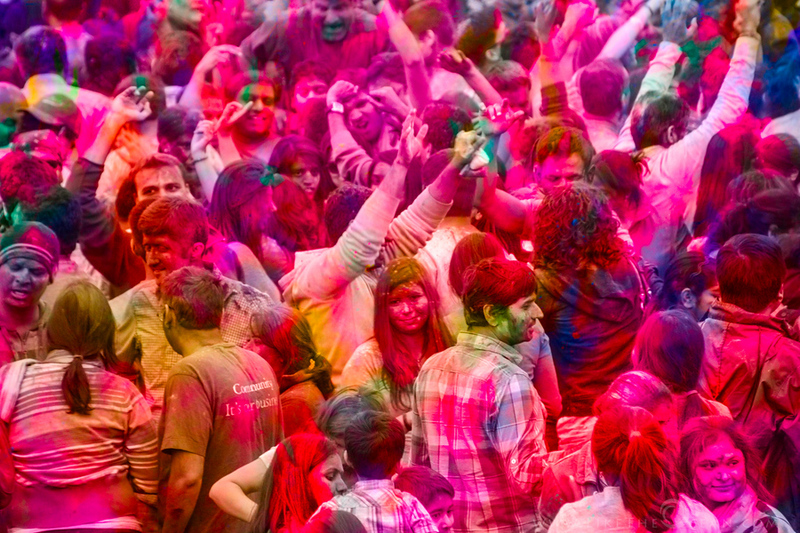 The entire event involves movements that are brisk and music as loud. All of this helps to rejuvenate the human body and makes the transition smooth. People also clean-up their houses on Holi, burning up the old, which helps in clearing up the dust and mess in the house. This is kind of equivalent to the spring cleaning that is prevalent in western culture. A cleaner environment generate more positive energy. Below are some of my favorite shots from the event. For more check out the gallery. Madurai, apart from being my home town, is really famous for many things from soft idles to jasmine flowers to being the birth place of ancient Tamil. 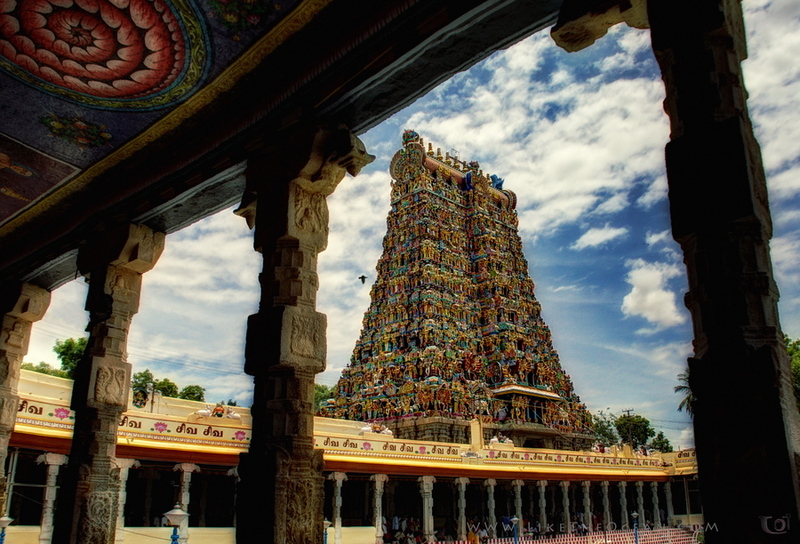 Madurai is also synonymous with Meenakshi Amman Temple. Covering an area of 17 acres , the enter city was built around the temple. As you get near the temple the city streets meander and before you realize become lanes within the temple. 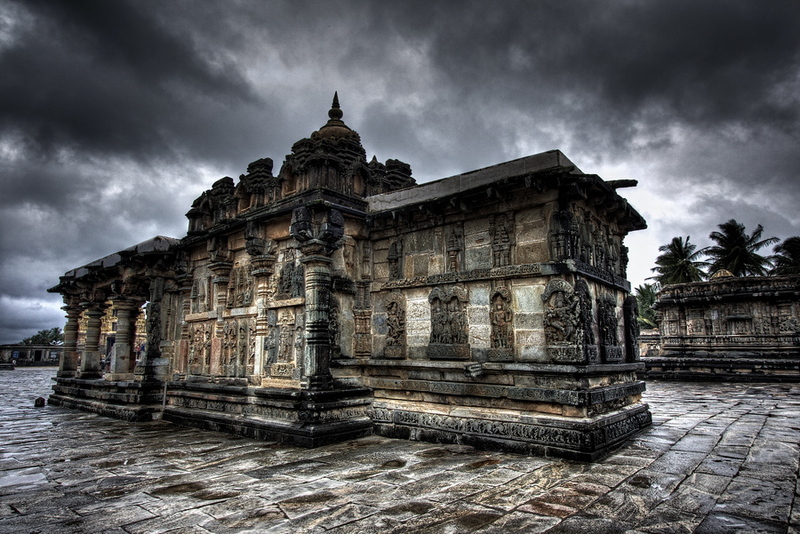 Known for its amazing architecture , this temple is one of the most ancient and famous ones in south India. As a kid I have always taken for granted, my visits to this place. When I went to my hometown in the last year, I made it visit this place. I did not have as much as time as I had intended, but still enjoyed it. I really wanted to capture the grandeur of the Gopura, its ornate work, the intricate sculptures from the pillars, the lovely etc colorful paintings on the ceilings etc. I think I succeeded, at least partially. This week shot is one of the 14 Gopuras that adorn the beautiful temple. I generally do not tend to post photos from the same place in continuity. 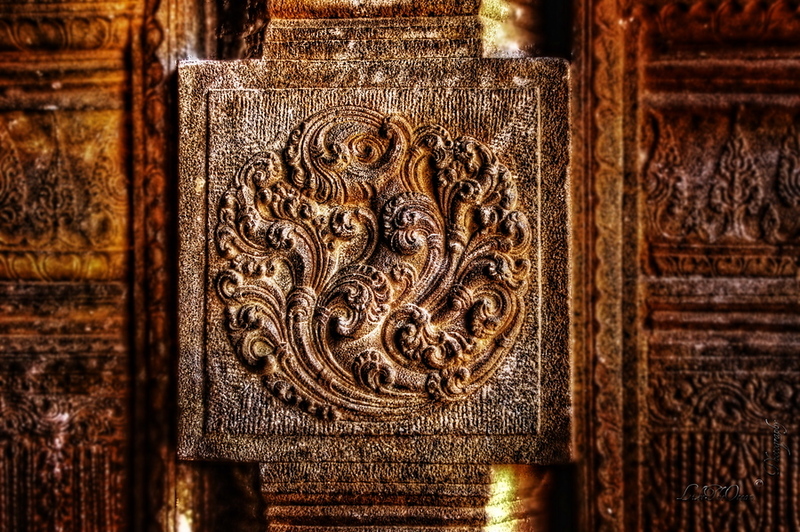 But the more I look at the shots from Tanjore big temple, the more I am amazed. Hence continuing from last week, I present – The Shrine of Sri Subramanya – located just behind the main temple within the same compound. This definitely needs to be viewed in large, to enjoy the intricate sculptures and pillars. If this tower standing at 55 feet can carry so much grandeur, imagine how inspiring the main vimana can be at 216 feet !!! Surprisingly, this shrine is not referred to in the early inscriptions, and probably not contemporaneous to the main temple. 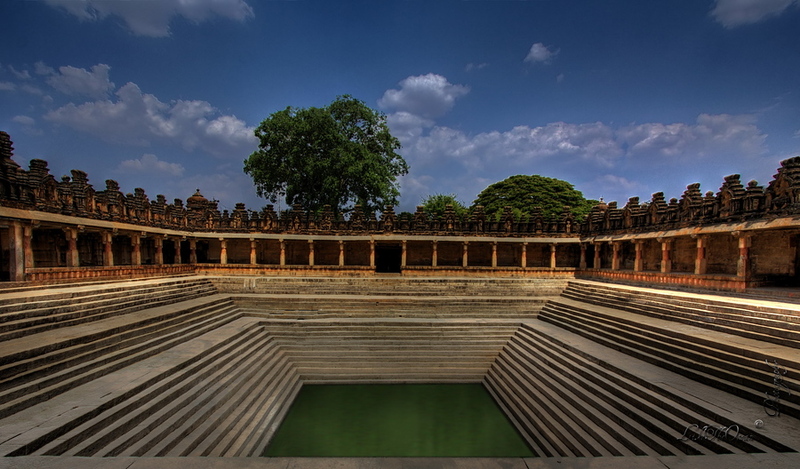 It is popularly believed to be of the Nayak period, giving it a date not earlier than 600 A.D. The flash lights that you see around the corner is directed towards the main tower. Need to plan another trip once the maintenance work on the main vimana is over, hopefully ! Have u sneaked behind security to get your best shorts ;-) would love to hear ur experience , do share in below comments !!! 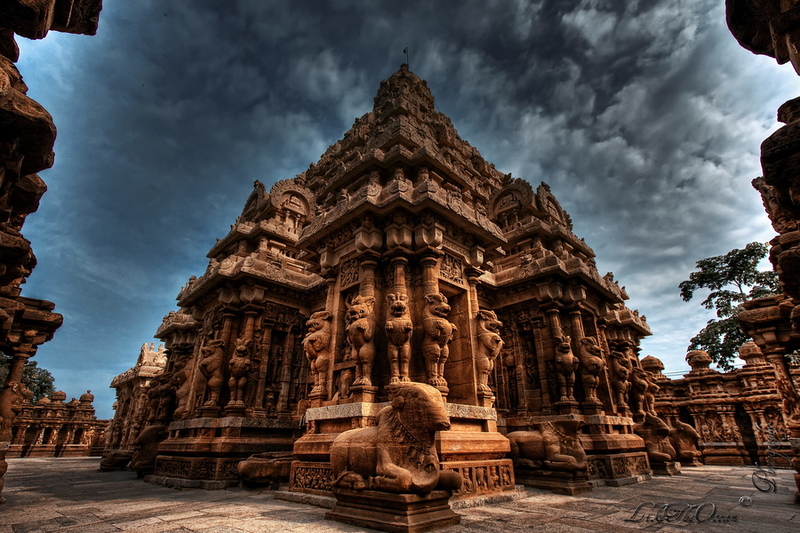 The Big Temple, as rightly said, was constructed by Raja Raja Chola nearly 1000 years back – to be precise in 1010 AD. This is also the world’s first complete granite temple and an brilliant example of the grandeur and the major heights achieved by Cholas in Tamil architecture. 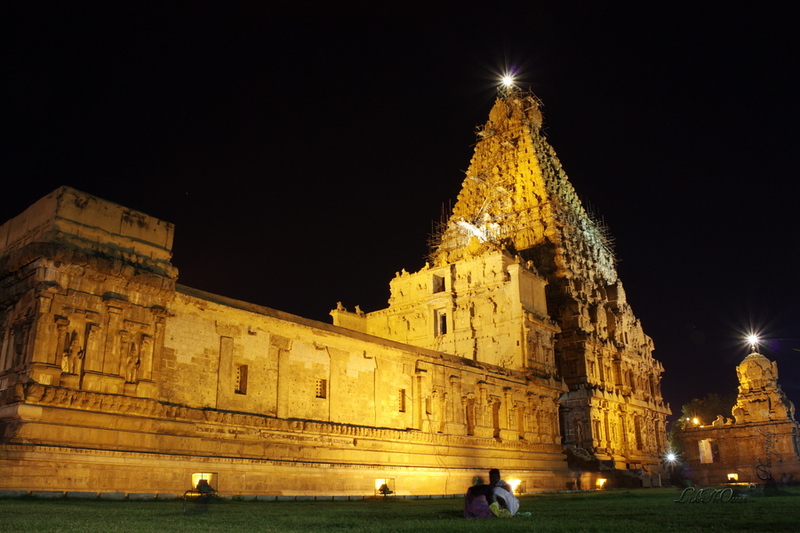 Also know by the names of Brihadeeswarar temple or Rajarajeswaram – this Shiva temple – still stands as the largest temple in India, with the main vimana towering to 216 feet. This week shot is SOOC (Straight out of camera) of the main vimana / tower at the Brihadeeswarar temple. Even with all the wooden frame around the vimana for some maintenance work (yeah! such a bad timing for the visit), could feel the awe and grandeur of the architecture. The temple had been sculpted to detail in every nook and corner. It is so spacious with the open dance floor, huge lawn and multiple sanctum. This shot gives a much closer view of one of the hundreds of pillars out there. Makes one wonder on the amount of passion, dedication and work that would gone behind these marvels. If you are planning for a trip to south India, this is a must have on the iternary !!! Bylakuppe, located in District Coorg (Madikere) in Karnataka is the second largest Tibetans settlement outside Tibet. Close to 20K monks stay here living in the Tibetan tradition. They co exist peacefully with the neighborhood, continuing with their chanting and training, not bothered about the tourists and onlookers. The focus of the settlement is The Golden Temple and the focus of the temple, of course, is the 60 foot Gautama Buddha, accompanied by Guru Rinpoche and Buddha Amitayus on the sides. The huge hall is so cool and smooth, with reflective flooring. The walls adorned by amazing paintings are sound absorbent. The surrounding is so calm that you would just feel like sitting in silence. No wonder, even the people who don’t have the habit of meditation, will just feel like being in silence and meditate. The amazing architecture goes hand in hand with the silence and the Tibetan culture. On the processing, the HDR helped capture the golden sculpture along with the intricate work and paintings. Let the movement on the people as such, as it kind of added to the shot. This weeks let us visit the famous Big temple at Tanjore, Tamilnadu. It is an carving with amazing details on solid stone. The place is filled with details in nook and corner. It probably would justify to call this a teaser- for things to come on Tanjore temple – on subsequent posts. To get a bigger picture (i mean not in a literal sense) of the grandeur, multiply the awesomeness of the below shot with 4 for one face on each side, then by another 3 or 4 for the number of levels in each pillar and then finally 100+ for the # of pillars. Behold we are just talking about the pillars. There are still – the walls, the smaller temples around and multitude of temple towers along with the big one that the place is actually know for. You should probably visit the place to experience it ! 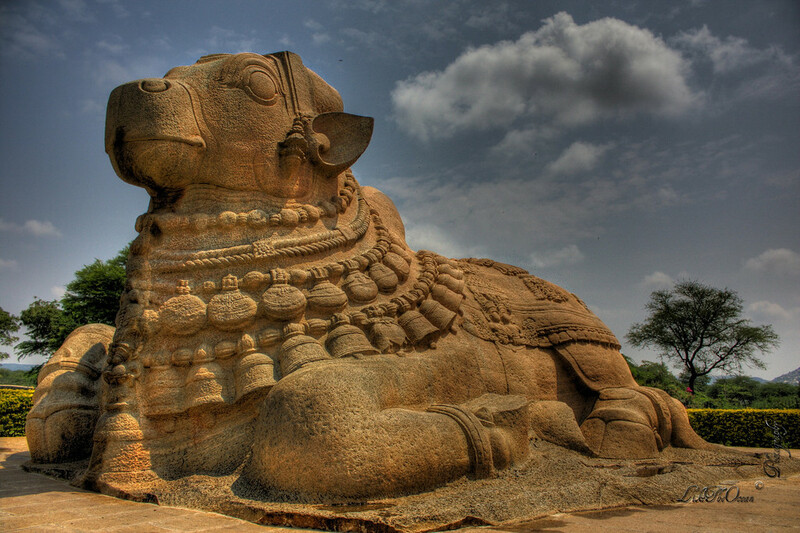 Lepakshi – small town, in Ananthpur district of Andhra Pradesh state – is about 140 kms from Bangalore. It is enroute from Bangalore to Hyderabad (BIAL road). At the RAKSHA academy in Andra Pradesh , take the left for lepakshi. The temple would be 15 kms from this turning. This stretch is real bad, but is probably keeping the crowd away and the sanctity of the heritage temple in place :). The place is a good day trip from Bangalore, but watch out, it would be real hot during summers. Lepakshi is famous for its temple, which is dedicated to Veerabhadra, the fiery incarnation of Lord Shiva and the big Nandhi. The nandhi sits outside the temple, facing the Shiva. But probably as time passed, the Lepakshi village has developed right in between. When you drive, the nandhi is on the right side and a little further down the left is the entrance to the temple. The Nandhi is quiet grand at 15 x 27 feet and made of a single monolithic granite. Makes one wonder how grand this place would have been, during its glory. Bhoganandishwara Temple – This small unknown temple, near Nandhi hills, is perhaps one of the finest and ornate of the Dravidian temples that I came across in Bangalore, Karnataka. There are three temples side by side , each having a slightly different style , probably built during different periods. The back wall of the temples was the most ornate, with very different sculptures like standing Ganesha among others. 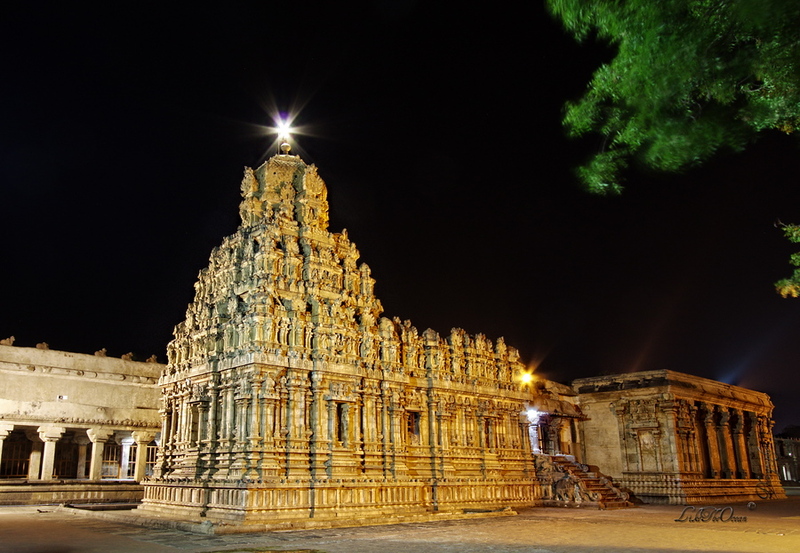 Kanchipuram (???????????) is rightly called the “City of 1000 temples”. Though we might not find 1000s of temples currently, there are atleast few hundreds. And a handful of them still active with rituals and pujas being performed on a daily basis. The below is from Kailashnath Temple. Accounting to Ganesh Chaturthi celebrations at home (yeah yeah my laziness too added to the delay :)) ended up at this place just after noon- after an hour and half drive from Chennai. Though the sun was harsh, the shot came out really good as I was able to sneak and set the tripod in the extreme corner for an HDR shot. The monolithic temples @ the Mahabalipuram are known as rathas as they resemble wooden chariot. It is an innovation of Pallava King Narasimhavarman-I (Mamalla) [AD 630-668]. A Huge rock sloping from south to north was utilized judiciously to cutout different forms of temple, besides few animal sculptures. Though these monolithic temples are termed as panchapandava rathas, they have nothing to do with Mahabharatha. These rathas with their ekatala to tritala, vimanas and different in plan and elevation, exhibit splendid forms of south Indian art and architecture. 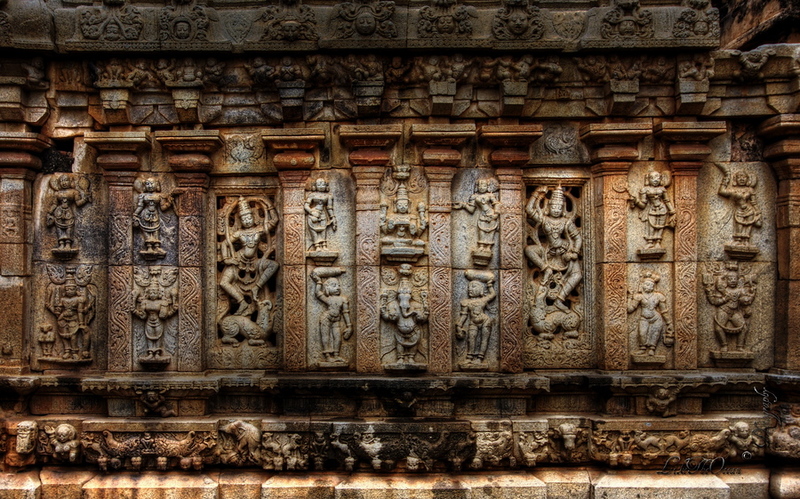 The nakula-sahadeva ratha has apsidal vimana, a relief sculpture of ardhanariswara on the wall of Dharmaraja ratha, with perfect balancing of the masculine and feminine features. 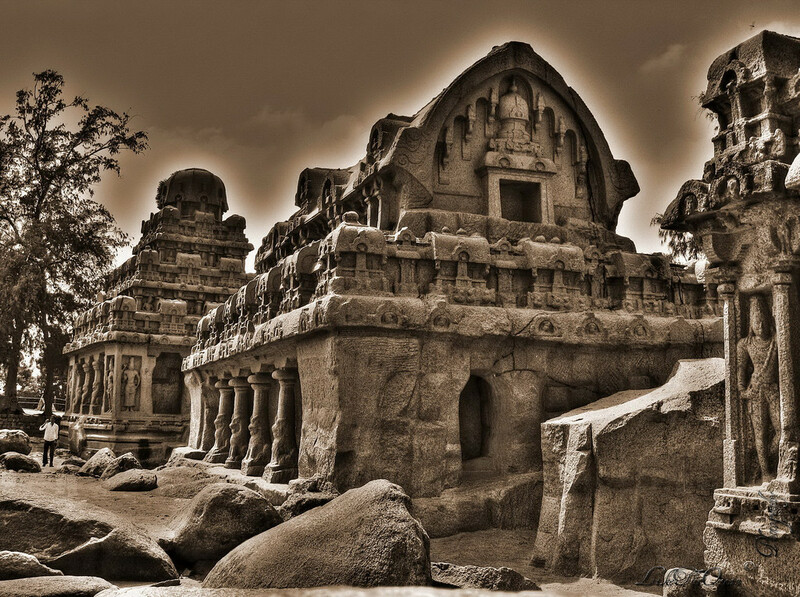 It is considered to be one of the finest specimen of the early Pallava art. The ratha also contains Pallava-Grantha, inscription recording the titles of Narasimavarman-I. The group of the five rathas were executed as models of South Indian temples and were not consecrated as their stupas are still attached with the bed rock.